I am sure all of you House M.D. fans are going to love this one. For years you have probably admired the way that Dr. Gregory House could walk into a room of achieving doctors, nurses, and hospital administrators leaning on his cane covered in flames and shouting “You idiots!”, and not only would he not get fired, he would be praised for his work every episode. The man behind the cane was none other than Hugh Laurie. Mr. Laurie has been acting on shows and movies for the last several decades. He has starred in other shows like Jeeves and Wooster and starred in movies that can be enjoyed by children and adults alike. One thing I would like to start off with in the blog is this bit of fun fact… I never knew that Hugh Laurie was British!!! 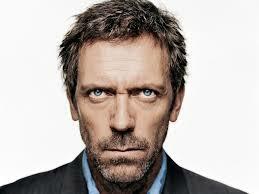 Well more to the point, Mr. Hugh Laurie is much more than a very talented actor. He is quite possibly one of the most interesting people in the entertainment industry today. Why so do you ask? Well, besides having a stunning ability to speaking with a spot-on American accent, he is a writer as well! Back in 1996 Hugh wrote a book called The Gun Seller which has been a best seller and is currently available on our very own book shelves in the Library District. Had enough facts yet? Well think again readers! There is even another special fact to know about Mr. Hugh Laurie… HE SINGS TOO!!! It appears that among his many other talents, Hugh fancies himself a musician too, making two records thus far. Those two albums are Let Them Talk and the newly released Didn’t It Rain. I have to admit I saw a live recording of Hugh Laurie performing on the Queen Mary on PBS and boy can he sing! I am about to get my copy of Didn’t It Rain and I cannot wait to hear it all the way through. A man who has the most ordinary British accent you’ve ever heard, that can also sound absolutely American (and kind of like a jerk), AND also sing in the deepest Bluesy voice the likes of Tom Waits is clearly someone worth your time. And again, he isn’t that bad an actor. In the District we have literally dozens of DVDs, CDs, and books all headlining Hugh Laurie. So stop on by and explore the many works of this amazing man. Until next time dear readers, stay classy, and stay reading… and listening, if you’re privy to music.